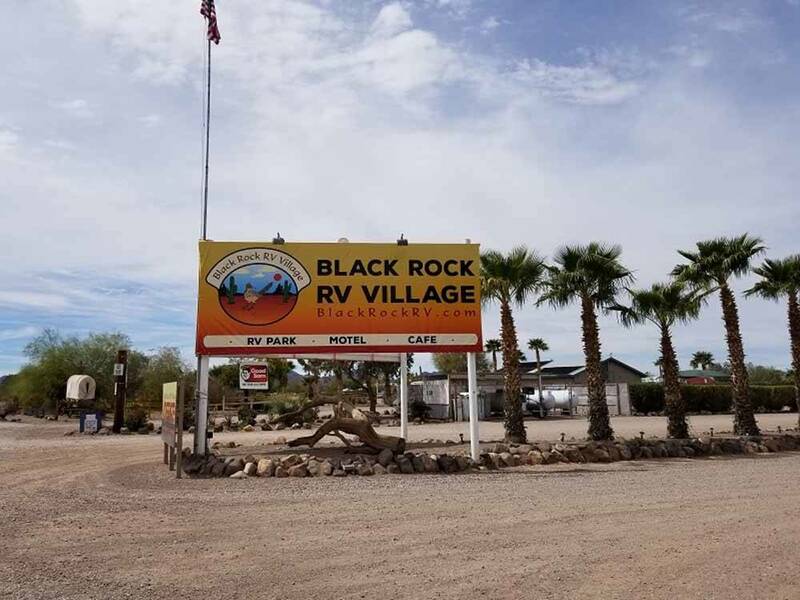 Located in the McMullen Valley desert outback is the best base camp for Quartzsite and Salome areas! Spectacular views of the Harquahala and Harcuvar mountain ranges and thousands of acres of outback trail riding. This is a great park. We especially enjoyed the HUGE pull thru sites! We stayed here only one night. It was a stop on our cross country trip. It is convenient to the interstate. The staff was friendly, welcoming and helpful. There was a man to lead us to our site. The sites are gravel, but cacti gave each sute a unique look. The park is clean and well kept. We stayed here for four months. The sites are large (40x50), gravel and dirt. There's no table or fire ring, and no shade. You can have a barbecue grill, both gas and charcoal, but there are quite a few days that are so windy, it wouldn't be advisable. There's a strong community feel about this campground, and as newcomers we were made welcome and accepted as part of the community. We felt so "at home" that we made reservations to return next year, which is a rarity for us.